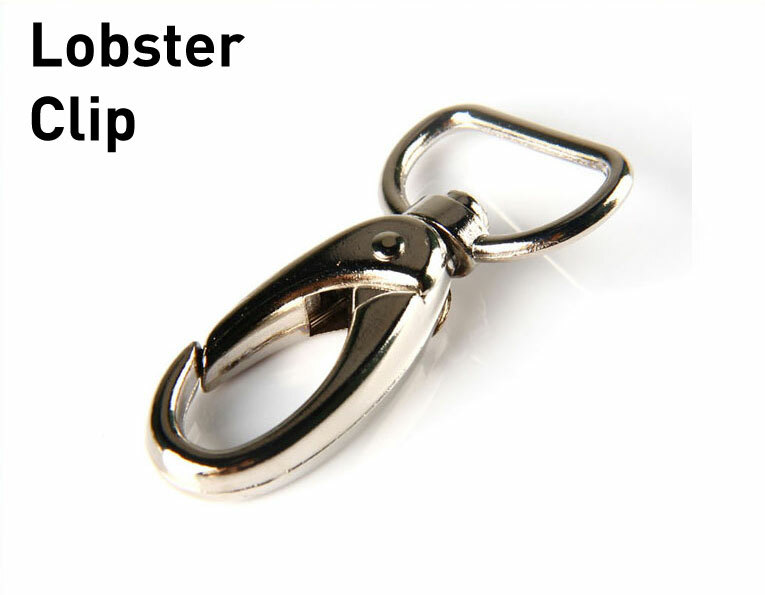 Custom lanyards are a great way to advertise your brand and also provide a useful accessories for holding keys, ID cards, mobile phones and in some cases they can even hold drink bottles. Custom lanyards come in a variety of print styles, materials, options and attachments. Our detailed sections below are aimed to help you decide what are the best options for you and your business. If you need help please call us on 1800 330 099, we can help find the right lanyard for you. Dye sublimation lanyards are in our opinion the most luxurious lanyard you can buy and they are also our most economical for small and medium quantities. Dye sublimation lanyards are digitally printed with full colour on one or two sides of a smooth polyester cloth. They can be 15mm, 20mm and even 25mm in width and have a wide array of attachments. Our most popular dye sublimation lanyard is a 20mm width cloth, full colour both sides with a detachable buckle (side release), safety breakaway and heavy duty swivel hook. Screen printed lanyards are undoubtable our most common printed lanyards, due to their economical cost for medium to large quantities. Screen print refers to ink being passed through a silk screen template and applied to the material. This print method can be one, two, three or four colours and for a clearer result we recommend having a transparent print under the screen print (known as Offset Print) which allows for a clearer and higher quality print. Our most popular screen printed lanyard is a 15mm flat polyester lanyard with safety breakaway and standard swivel hook. Available Materials: Flat tube, polyester, nylon, satin, reinforced polyester, eco-friendly, PVC and reflective. Offset printed lanyards is our highest quality print. It can produce some of the finest lines and details on a lanyard. Offset print refers to a transparent print applied prior to screen printing, which as explained in Screen Printed Lanyards is ink passed through a silk screen template with up to four colours. Our most popular offset printed lanyard is a 15mm reinforced polyester lanyard with safety breakaway and heavy duty swivel hook. Woven lanyards are uncommon in the custom lanyard world, although technically they have the same lead time and similar price points as other lanyards the end result is an acquired taste. Woven refers to dyed polyester threads being woven together in to a pattern similar to that of embroidering, with the exception the woven lanyard is flat. 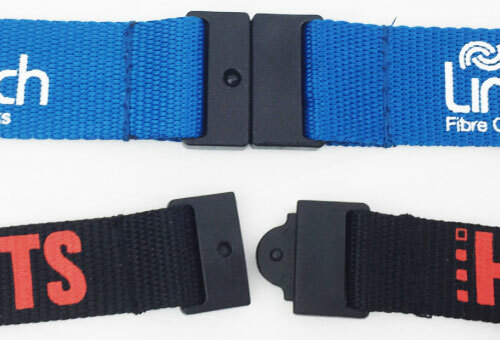 Due to the nature of this lanyard type, the reverse side of the cloth is inverted, however double sided is achievable but effectively two woven lanyards sewn back to back increasing the overall thickness and price. Our most popular woven lanyard is 20mm woven polyester lanyard with safety breakaway and alligator clip. 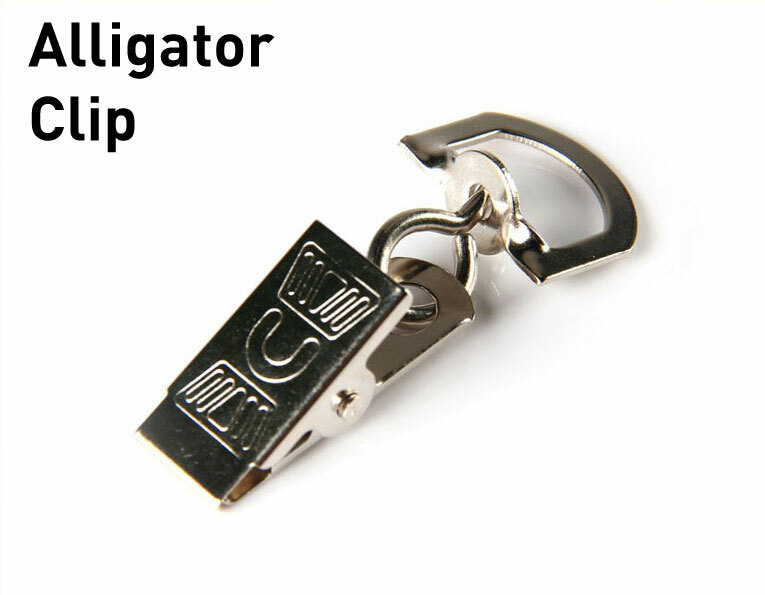 Polyester is undoubtable the most commonly used material when it comes to custom lanyards. 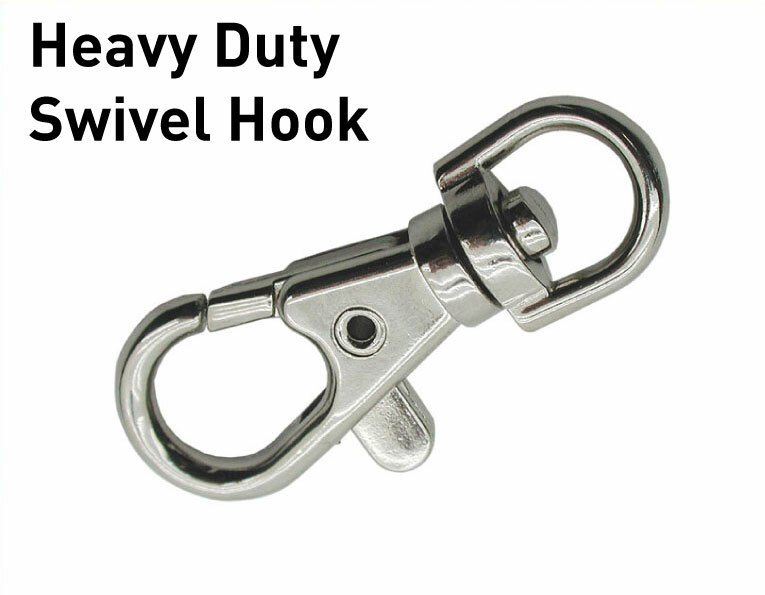 Our polyester lanyards in this category refers to the polyester threads being tightly woven together to produce a ribbed surface lanyard that is flat. Other uses of polyester are reinforced, smooth and flat tubular. The polyester can be custom dyed to a specific PMS or Pantone colour within 5% (Refer to our Colour Specifications for full details). Our most popular polyester lanyard is 15mm width screen printed with a safety breakaway and standard swivel hook. Available Lengths: Standard length is 900mm or 960mm depending on customer’s preferences, however custom lengths can be achieved. Reinforced polyester lanyards are thicker polyester threads tightly woven together to produce a thicker and more durable ribbed surface similar to our polyester lanyards. Like the Polyester Lanyards, reinforced polyester can be dyed to a specific PMS or Pantone colour within 5% (Refer to our Colour Specifications for full details). Our most popular reinforced polyester lanyard is 15mm width offset printed with a safety breakaway and heavy duty swivel hook. 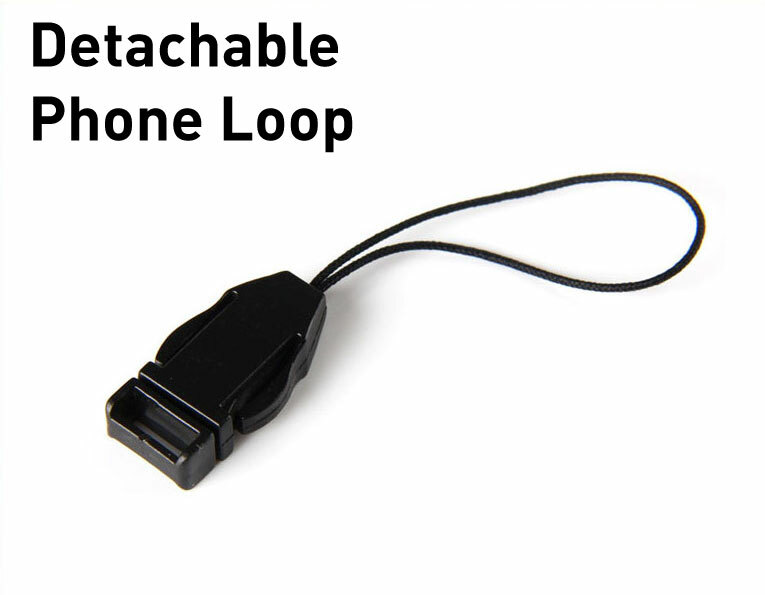 Smooth polyester lanyards are refined threads of polyester tightly woven together to produce a very smooth surface for increased comfort to the wearer. Smooth polyester lanyards are generally printed using dye sublimation, which means the cloth can be full colour and produce some amazing colourful lanyards. Our most common smooth polyester lanyard is 20mm width dye sublimation print on both sides with a detachable buckle (side release), safety breakaway and heavy duty swivel hook. Nylon lanyards are threads of soft shiny nylon tightly woven together to produce a shiny ribbed surface lanyard that is flat (very similar to polyester, except with a higher sheen). Nylon lanyards can be dyed to a specific PMS or Pantone colour within 5% (Refer to our Colour Specifications for full details). Our most popular nylon lanyard is 15mm width offset printed with safety breakaway and heavy duty swivel hook. Flat tubular lanyards are loosely woven threads of polyester to produce a tube of material which is flattened (similar to a boot lace). Flat tubular lanyards can be dyed to a specific PMS or Pantone colour within 5% (Refer to our Colour Specifications for full details). There are so many different attachments available in the world it’s simply impossible to list them all. Over the years we have found some of the most common attachments are displayed below. 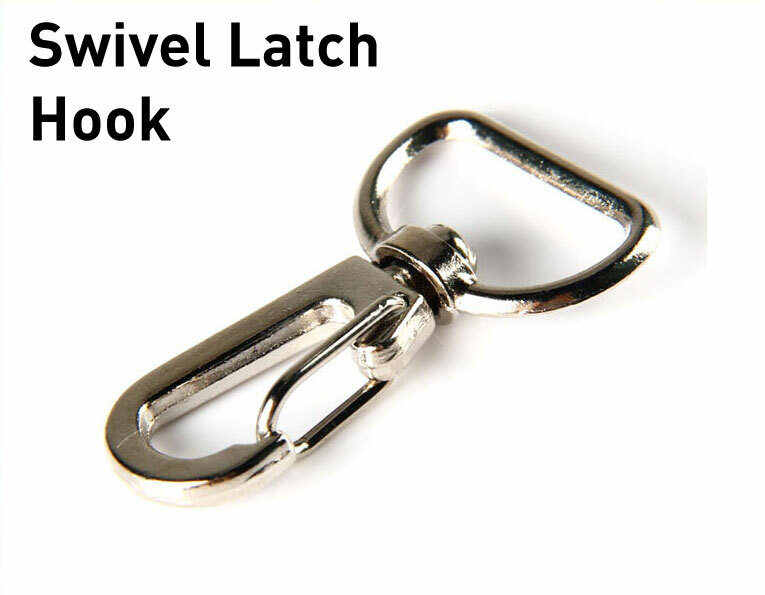 Although we only have displayed the above attachments, there are virtually hundreds of attachments that can complement the lanyard. The best way to decide the attachment that is right for you is to determine who will be wearing the lanyard and what the objective of the lanyard is. 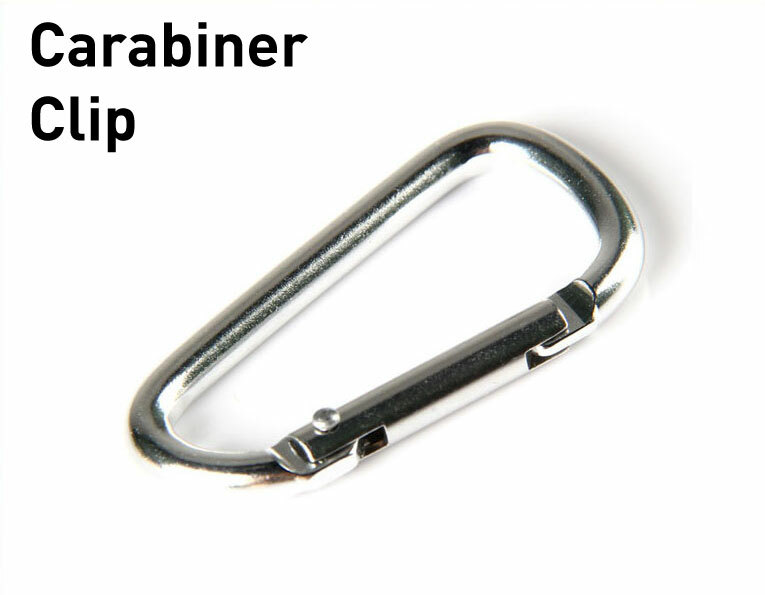 If the wearer is your employee and the objective is to hold their building access card, then a strap clip would be ideal to connect to a card holder or directly to the access card. Check out our Attachment Guide for more ideas on what would best suit you. Safety is a huge concern in Australia and sometimes WHS rules dictate what people can and can’t wear. There are a range of safety options available for customer lanyards. Safety breakaways are the most common preventative measure against wearers being harmed by lanyards being caught on or in objects that can be dangerous. The safety breakaway will come apart when pulling force is applied. Often customers add two safety breakaways to increase wearer safety. Reflective cloth is a perfect solution for low visibility areas such as docks, warehouses and anywhere visibility can be poor. The reflective layer on the lanyard will reflect any light making it more visible (similar to safety vests with reflective strips). We are committed to providing a quality product and service, and to ensure this level of quality is maintained we have some requirements for artwork. Listed below we have all the information regarding our custom lanyards process. Text may be provided with font type, style and proposed positioning. If the font is not a standard windows font, the font file will be required or artwork provided with the font outlined (vector format) in AI, EPS or editable PDF format. Artwork must be provided in vector format (vector explanation) as an AI, EPS or editable PDF suitable for Adobe Illustrator CS3. Image formats such as JPG, TIF, BMP, EPS, PSD and GIF may also accepted, however ID Supplies can’t guarantee the lanyard print quality and depending on the image there may be a small vectoring fee, which will be advised prior to this service being used. Hand drawn images will not be accepted due to quality issues. Artwork can be provided via email, CD, web link or any other medium. On request we can provide design and advice services from our graphics department (charges may apply). All custom lanyard orders will receive an Artwork Approval outlining the specifications of their custom lanyard along with the artwork proof (any changes after initial proof may incur an extra cost and changes to proof after approval will incur an extra cost). It is very important you review all the specifications and artwork prior to signing off as any error that is signed off will not be the responsibility of ID Supplies Pty Ltd.
Pre-production sample photos may be provided upon request for orders over 500. 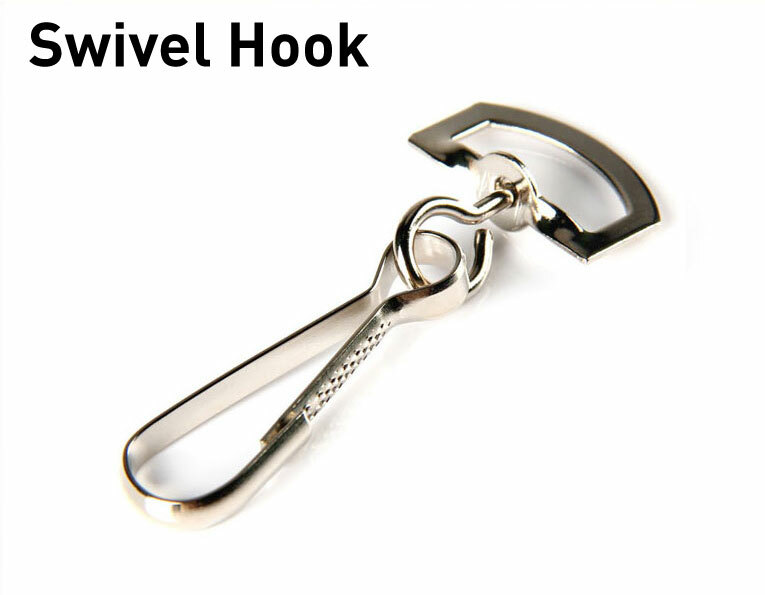 Pre-production samples may be provided upon request for orders over 500 (charges may apply). Finished production photos may be provided upon request (these are the finished product photos and no changes can be made). Cloth colour and print colour can be to a specific PMS/Pantone colour, however due to colour changes based on material, print method and the variation between different monitor displays we can only guarantee colours will be within a 5% variance of the current PMS/Pantone Colour Chart. Customers may provide RGB or CMYK colour codes, however ID Supplies cannot guarantee the colour will be within a set percentage variance of what the customer is expecting. 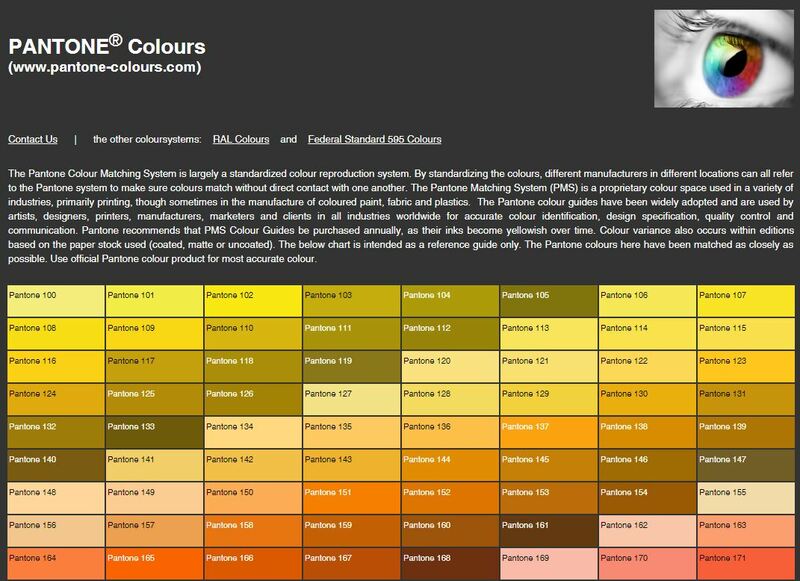 To view the current PMS/Pantone Colour Chart we use, please click here. Attachments are as important as the print type and material used as this will determine how the wearer will utilise the lanyard. Our team has put together some scenarios and what we feel is the best attachment/s. Safety breakaway – this is for WHS purposes. 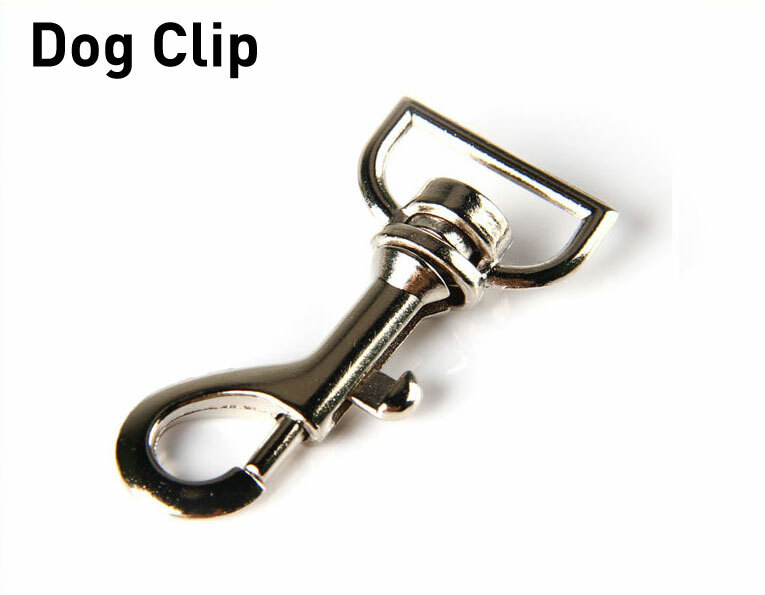 Strap clip - This allows employees to add personal items such as keys, styled keyrings, mobile phones and any other items that can be connected to a keyring. 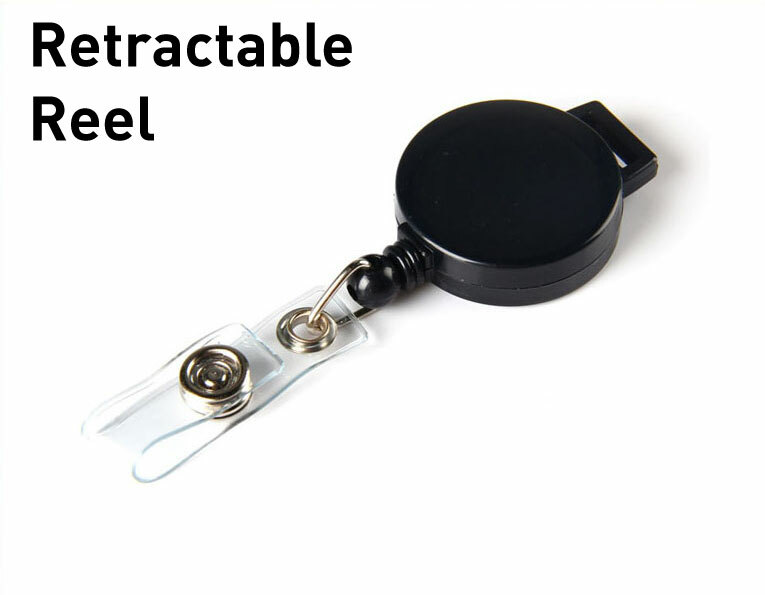 Retractable reel with strap – this allows the employee retract the access card out to a reader and automatically retract the access card. Promotional lanyard for prospective customers: This is most likely the hardest decision as it all depends on your research of your target audience. What pain points could they have that a lanyard could fix? All of these questions and more will help to ensure your promotional lanyard stays around their neck or at the least is used daily. 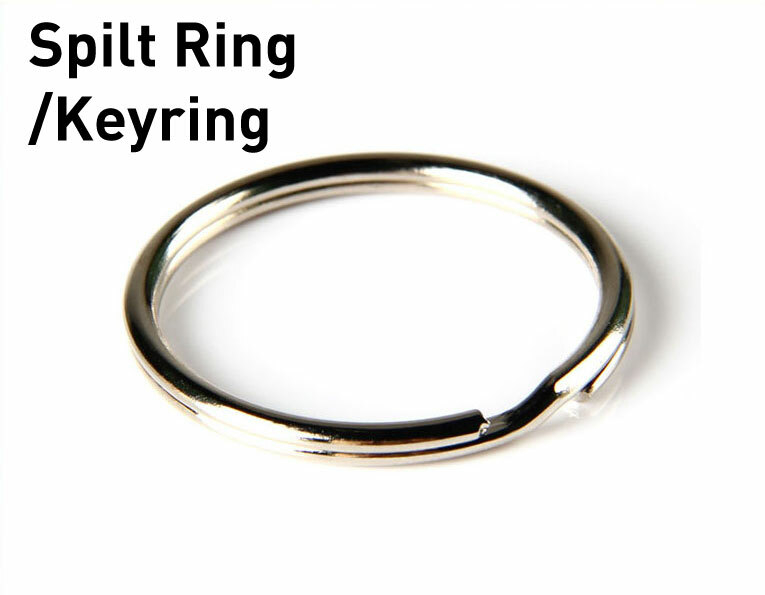 For instance one of our team uses a lanyard to help find her keys in her handbag, so a keyring is definitely an attachment she needs from a lanyard.